It really is a drag, adulting. So much to do, so little time. So many responsibilities. Then there’s being the designated driver. You’re not drinking, so what are your options? Usually glass after glass of gassy coke. Maybe the odd lemonade, if you want to mix it up. You can try to add ice and a slice for an element of occasion, but it’s just a glass of pop in the end. This is where Seedlip step in. The first non-alcoholic spirit. It’s hard to express why without choosing the right words, such as “ritual” and “complexity”, and even then, seasoned drinkers may be dubious. But, as should be the case with every solid business venture, there’s plenty of data to back up this brave new pursuit. We were invited along to an event in Harbourne, Birmingham, where Seedlip’s UK ambassador, Luke, led us in a (non-alcoholic) cocktail making class to introduce us to the curious beverage. His presentation was engaging and funny, with a wealth of knowledge about the brand history and the wider industry that it’s carved a place within. For Seedlip founder Ben Branson, it all started with experimentation in his farmhouse kitchen: using a copper still and the herbs from his garden to trial medicinal recipes from a centuries old book by the name of “The Art of Distillation”. The turning point, however, was a particularly offensive non-alcoholic cocktail served to him one evening in a restaurant. This was when the idea came to him to solve the problem of non-alcoholic options in bars. It’s wasn’t even really a question of marketing Seedlip only to teetotallers: data from the Office for National Statistics tells us that drink is actually on the down. The average millennial is drinking only 5 units per week, next to the recommended allowance of 14. Drinking is just not “cool” anymore, much like smoking. You can call it hipster if you like—the rise in popularity of craft ales and artisan gins, quality over quantity, and a willingness to pay more for it—but it all points to a healthy change in our drinking habits. Taking an interest in exactly what and how much we’re drinking has got to be a good thing. Seedlip offers all that we love about our favourite artisan gins and cocktails, without the sore head in the morning: the ritual, the complexity of flavour and aroma, and the elaborate and refined presentation that allows us to feel like grown-ups when we’re drinking it. A totally different experience to a gassy coke and lemon. Currently, they produce 3 varieties, each with its own natural blend of herbs and spices to make them completely unique from one another. They are all non-alcoholic (of course), and contain zero calories, sugar, sweeteners, or artificial flavours. We were greeted at the event with a deliciously refreshing glass of something akin to an Aperol Spritz. The base Seedlip spirit, we were told, was Grove 42. It combines extracts of orange, blood orange, mandarin, lemon, ginger and lemongrass, to produce a zesty and thirst-quenching flavour. The naming of the Seedlip spirits is something I found really interesting and endearing. Did you know that 1542 is the year that ‘orange’ was first recorded as being used to describe colour, and not just fruit? 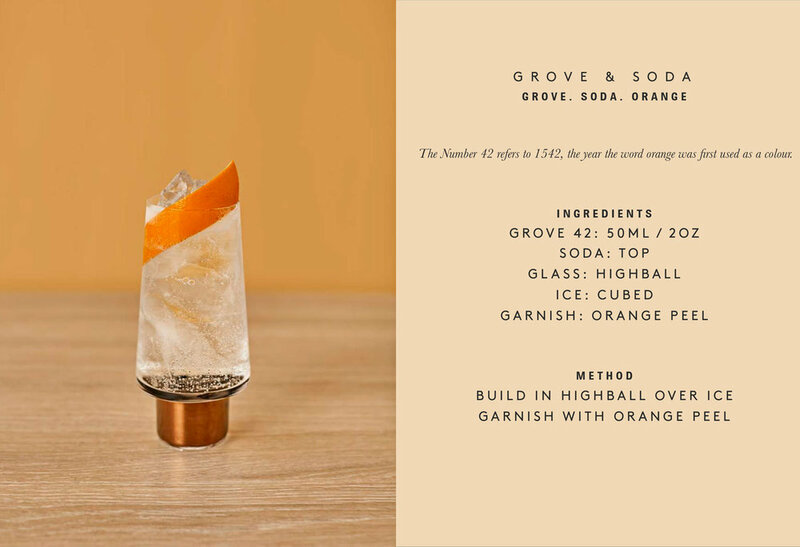 Hence, Grove 42. Next, we were instructed in pouring a long drink, using Garden 108. It was incredibly simple, much like pouring a gin and tonic, but with a twist: we garnished it by breaking open a sweet pea and dropping it in the top. The aroma is similar to that of a cucumber garnish, and complimented the fresh and crisp aromas of the Garden 108—which come from peas, hay, spearmint, rosemary, thyme, and lemon hops—perfectly. Incidentally, it takes 108 days to grow a pea. Finally, the evening wrapped up with a non-alcoholic variation on one of my favourite cocktails: the espresso marti(no). For this, Luke used Seedlip’s Spice 94, which takes its complex flavour from allspice berries and cardamom, amongst other warm spices, with grapefruit and lemon peel to provide a citrussy top note. Absolutely delicious, paired with an equal measure of cold brew coffee, a dash of sugar syrup and a coffee bean garnish. It’s not the real thing, but it was a great drink, and I can see myself taking the Spice 94 as my favourite. And the name? Christopher Columbus discovered spice(allspice) berries in 1494, whilst apparently looking for pepper. All 3 Seedlip spirits were completely fascinating to me in terms of quality and versatility. I went with an open mind, and it honestly didn’t take much to convince me of the excellence of the product, and the perfectionism and dedication that was required to realise it. Already, I was thinking about Christmas presents, and the kind of drinks and aperitifs I could concoct at home for guests. The alcohol wasn’t even missed, because the experience and flavour were enough. Another cool part of the event was Luke showing us how to make our own homemade ‘shrub’, which I’d never even heard of before. Maybe I’ll do a separate post on that if you guys are interested in what it is and how to make your own. So then, you’re probably wondering how much will it set you back? According to our host, in a bar you’ll be looking at 2/3 the price of an alcoholic cocktail, and it retails at £27.99. I think a few eyes in the room widened at the fact the price is comparable to a decent bottle of gin, but in fact, that’s essentially what it is; just with the alcohol removed. Indeed, there are further steps in the process used to preserve the flavour, making it a much longer process than cooking up gin. I think we have to ask ourselves a serious question, if we are valuing a drink on how pissed it gets us. Yes, you could say that with booze you pay additionally for the alcohol tax, but not that much. Seedlip is an artisan product, a labour of love, and if you buy in to the concept of mindful drinking and appreciate nice things, it’s worth the money. 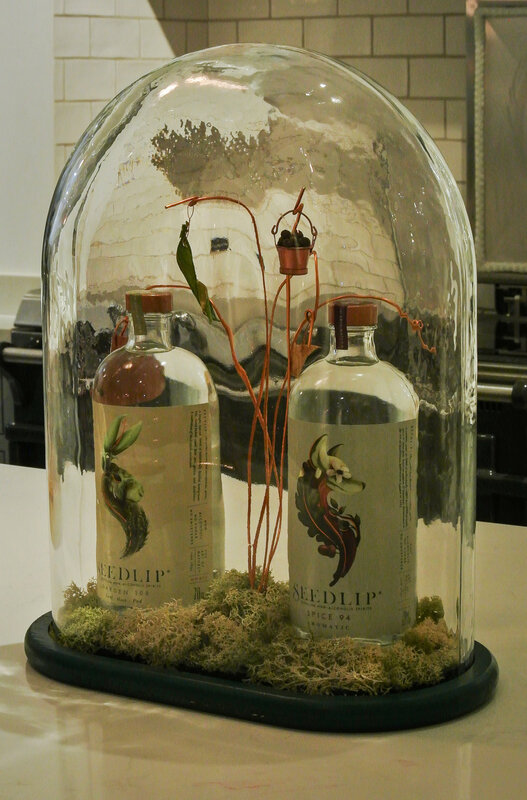 Although perhaps not a household name yet, Seedlip is now sold in over 20 international cities, features in more than 250 high-end restaurants, and many of the world’s best cocktail bars, luxury hotels & retailers. Their first bricks and mortar shop has just opened in Mayfair, London, and ‘Seedlip: the Cocktail Book’ was published by Penguin Random House this month. Leaps and bounds. Taste buds have spoken.